Problem gambling is a growing phenomenon with individuals now able to access gambling sites 24 hours a day. 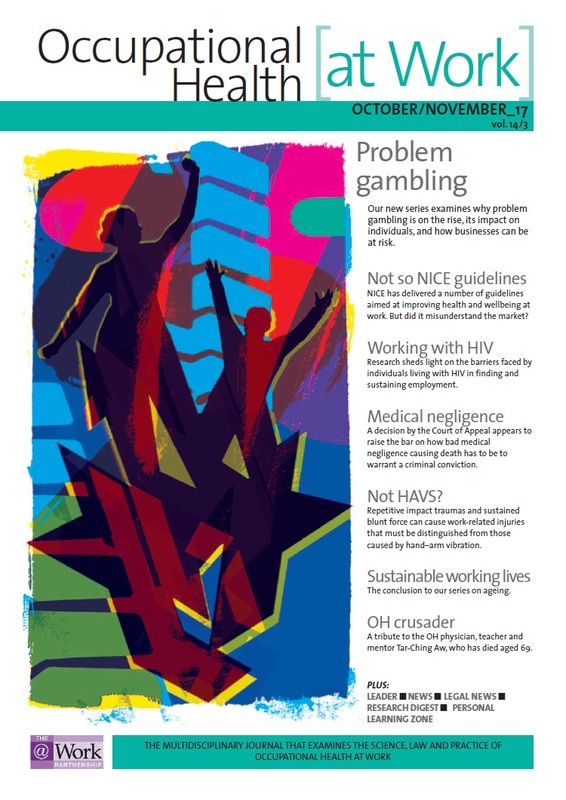 In the first of a short series Annika Lindberg considers the impact gambling can have at work. Richard has always considered himself an honest person. With a degree in law and considerable work experience he has a lot going for him in his career. Outside of work settings Richard has always been a popular guy, with many friends. He met his wife at university and she is pregnant with the couple’s first child. From the outside looking in, Richard’s life could easily appear almost idyllic. Yet, one Friday afternoon Richard is called to his manager’s office where two senior partners looking strained and with serious faces are waiting for him. They are keen to know how sums totalling over £8,000 have been claimed in expenses by Richard in the past year, considering he has only attended one conference outside London and uses public transport to get to work. Richard knows why – and has been dreading this moment for a very long time – but he has been oscillating between denial and fear, hoping this day would never come. How was he going to tell his bosses that he was so hooked on gambling that he had stolen money from work to fund his addiction? And what will his wife say when he will shortly be unemployed and probably unemployable? Annika Lindberg is a chartered counselling psychologist who has specialised in problem gamblers for the past 13 years. She was one of the first psychologists working for the National Problem Gambling clinic in London (the only existing NHS treatment clinic for problem gambling) when it opened in 2008. She now works in the OH department at Guy’s and St Thomas’ NHS Foundation trust, where she runs a CBT clinic for staff.